Without belaboring how it got there, the author has developed a detailed and convincing post-apocalyptic world. Modern as far as the vehicles, weapons and computer technology are concerned, other elements have a medieval flavor including a feudal social structure and a bit of sword play. In this case the holdings of the elite are not so much land itself but what all need to survive–water. In other words, a few have gained control of the water supply with the different “houses” within “The Collective” system jockeying for positions within their own hierarchy while keeping the unfortunate masses at bay. The complexity of the political structure is well thought out and demonstrates a keen understanding of human nature as a relative handful of individuals struggle to maintain what they’ve acquired while also trying to advance through whatever means necessary. Victor Xonox is the primary villain among many. He’s cruel and ruthless regarding everything and everyone save his beloved daughter, Pheona. He maintains his position with the proverbial iron fist enforced with lethal consequences. No one is allowed to obtain water except through his distribution channels. Anyone found having their own source such as a well is quickly dispatched. And thus we meet Abel, son of a former Army Ranger, whose family has their own covert water supply. Discovery results in the usual punishment except Abel escapes, bent on vengeance. As you would expect, Abel’s quest results in his meeting up with a variety of interesting characters. Each is well-developed with a detailed background and agenda of their own which brings them vividly to life. At times I felt as if there were too many named characters and I had trouble keeping track of them all with their exotic names. However, life itself is populated with legions and given the plot and situations, having so many people around contributed to the story’s convincing tone. So convincing, in fact, that its dark and gloomy essence was hard to bear at times since I’m not usually a fan of apocalyptic and dystopian tales, especially ones as vividly portrayed as this one. On a personal note, I have seen a modern version of this story play out, albeit less violently. 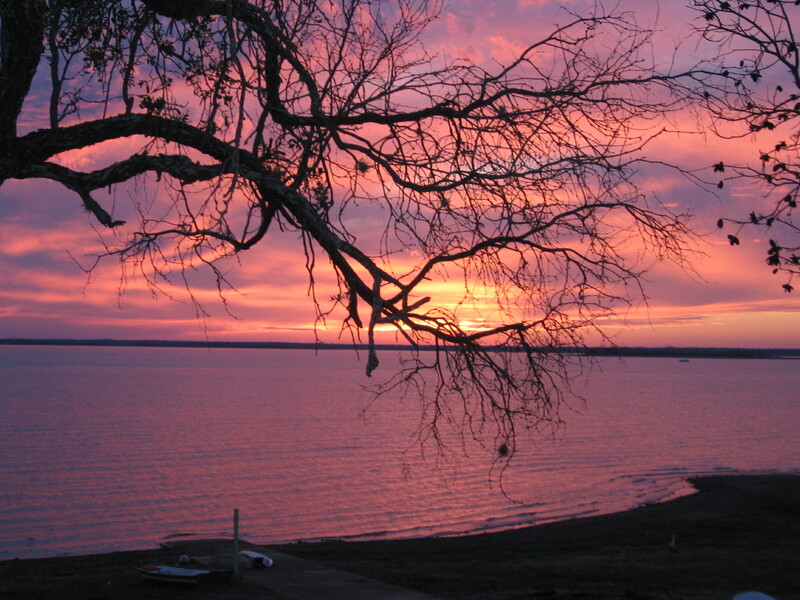 I live in the second row from one of Central Texas’ largest reservoirs, Lake Buchanan. In the above picture you can see it as it appeared on 29 January 2011. 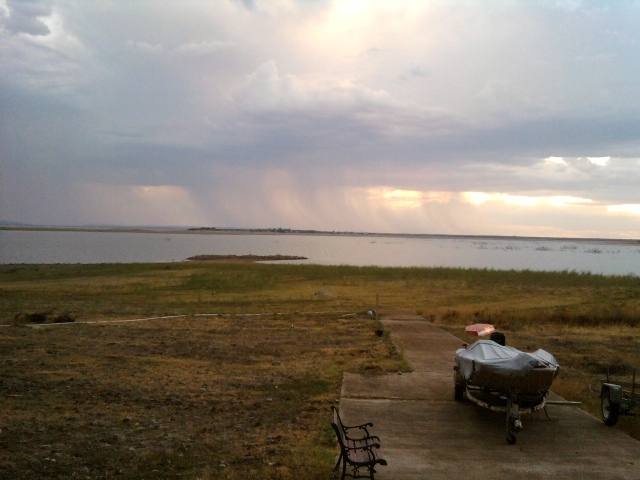 Little did I know when I snapped that picture that I may not ever see the lake at that level again. Ironically, at the time we considered it low! This area has been in a severe drought for several years and during that time I’ve seen the lake drained at the behest of those in positions of power, putting the drinking water of millions at risk. In a long and complicated story which, if written, would undoubtedly be the length of an epic novel, since 2011 the lake has receded until it eventually fell as low as below one third capacity. Note the boat ramp in both pictures is one and the same with the second picture taken exactly eight months later. 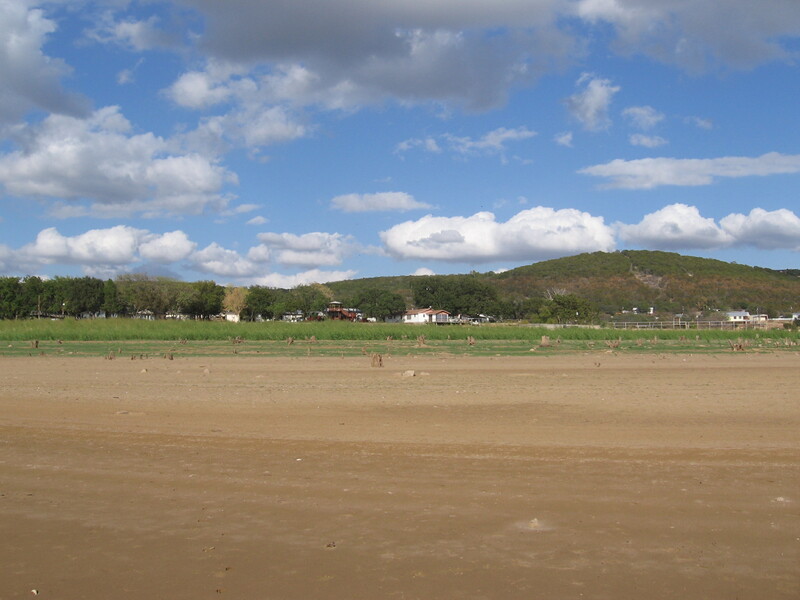 The lake view vista is now obstructed as well with an exposed strip of land to the left of the distant stand of trees which in normal years is inundated. The second picture below shows looking back from the waterline to the houses, where the lake level should reach their retaining walls. Thus, I have witnessed first-hand how water can spark a political battle until at long last a local leader rose to the occasion and led a fight for the rights of those whose local businesses and property values had been decimated for the good of corporate rice farmers downriver who sold their product mostly overseas. Residents along other lakes in the Highland chain deemed “constant level” (which just happened to have multimillion dollar homes along their shores) were blissfully unaware there was a serious drought. 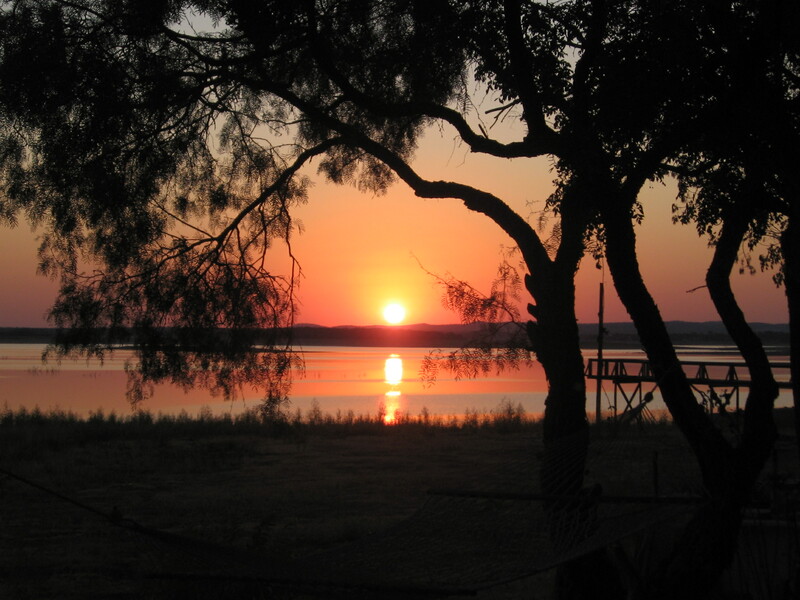 Meanwhile, along Lake Buchanan property values plummeted while resort and business owners closed as the lake was no longer accessible. Furthermore, what was left was too hazardous to enjoy since the pecan orchards inundated with the lakes creation in the 1930s were now exposed, giving it the appearance of an eerie swamp. In some cases, those who were once waterfront could no longer even see the water, yet were still required to pay the excessive tax rate they were assessed for their supposed prime location. So how did this come about? Our former governor (and aspiring presidential candidate, by the way) at one time was over the state’s Department of Agriculture. Thus, he had a close relationship with corporate rice farmers on the far end of the Colorado River near the Gulf of Mexico. Some of these farmers were thus his appointees on the governing board of the Lower Colorado River Authority (LCRA) who supposedly “managed” what are known as the Highland Lakes. In normal years, releasing water for the rice farmers to flood their fields, a practice related to controlling weeds, not the growth of the rice itself, was not a problem because winter and spring rains would replenish the supply. This, however, was no longer the case with the drought. The usual release was made, nonetheless, which was further exacerbated by human error when someone failed to close the dam’s flood gates when they should have been. It was as if someone had pulled the plug in a bathtub and the lake fell to less than one third capacity, its precious waters eventually spilling into the Gulf of Mexico. And thus it has remained for years. This spring Texas received a lot of rain, relieving much of the drought in some areas, but much of it missed our watershed. Lake Buchanan is now at 52% while the others in the Highland Lakes chain are at capacity. Hopefully it will eventually be full again but so far that is not the case. Clearly a commodity needed for life itself can be a powerful tool and those who seek position and control for selfish reasons will never hesitate to exploit situations that advance their personal agendas without regard for the good of anyone or anything else that stands in their way. Unfortunately, we see this every day. 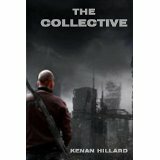 Thus, the premise itself of “The Collective” is highly credible given that there will always be despots like Victor Xonox who build an empire on the backs of those less fortunate. The plot exposes and investigates the character of those with no regard for the lives of their fellow human beings. It inspires hope in that a leader or coalition of those opposing their evil intent will eventually also arise in the form of heroes and a few antiheroes. While this story had a reasonably satisfying ending, the author also left it open for a sequel which is sure to come. Whether or not you’re a fan of dystopian tales, this one is exceptionally well-written and worth reading as a reminder of what can happen when a few power-hungry individuals assume control of an essential commodity. I have seen it happen with near-tragic consequences from my front porch. You can purchase a copy of this story at the link below. Don’t think it couldn’t happen where you live. If you’re a fan of Xander de Hunter, the awesome feline 007 you met (or should have) in “The Red Claw” you’ll thoroughly enjoy his latest adventure. This one takes place in Haiti where he’s investigating some mighty weird goings-on that hint at voodoo and the paranormal. Don’t worry, it’s not scary and perfectly suitable to read to your kids or simply enjoy yourself, even before going to sleep at night. Nonetheless, it has vivid descriptions that take you to a fascinating Third World country where you can learn more about its geography, plant life, culture and even the occult as you enjoy the story. Xander picks up a delightful sidekick named Mischief, a 7-week old kitten whom he will undoubtedly mentor into a future “Purr-tector.” The kitty mannerisms were hilarious and totally familiar to anyone who is owned by a cat from the mandatory grooming after eating, catnaps and tail dynamics. I particularly enjoyed Xander’s efforts to keep his eyes crossed, something so many Siamese cats display genetically, as he attempts to convince those he’s investigating that he’s a low-life “nip-head” looking for work. The purr-fect ending draws it all to a great conclusion and, as always, leaves you looking forward to the next episode. This is another wonderfully light read with enough plot, character and description to keep you entertained. If you need a break from all the books out there these days that drag you through some dystopian nightmare or other dark scenario infested with zombies and vampires that bears just too much resemblance to today’s world, pick up a copy and take a break today. You won’t be sorry. You can find it at Amazon, Smashwords, and various other retail outlets. I always approach Fathers’ Day with mixed feelings. There are great fathers and there are those who were present at the moment of conception but that was about it. My father fit somewhere in-between. He was there, at least physically, but not much of a father. No, he wasn’t physically abusive but he didn’t have a clue how to be a parent, or even a husband, for that matter. In his defense, his father died when he was two years old and his mother, my grandmother, never remarried so he really didn’t have any sort of example to follow. When I was little he found me amusing but as I got older he nicknamed me “Nuisance” and by the time I was a teenager he ignored me completely. Ironically, he and my mother stayed married because of me. The three little words I remember him saying to her on a regular basis were “You’re never satisfied.” As a result I grew up with little respect for either of them whose relationship was somewhere between the Bundys and Bunkers or maybe Ralph and Alice Cramden, a.k.a. “The Honeymooners” of sitcom fame. This, of course, fueled his resentment toward the “stupid kid.” In retrospect, I can see that the sour marriage ruined us all. 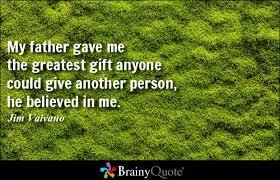 If my parents had been happily divorced we all would have been better off, especially me, since I felt I was to blame for the sorry situation. I probably sound bitter, but I’m not, just retrospective as once again Fathers’ Day approaches. It was a few weeks before Fathers’ Day when my father died. He was in his 70s and had suffered a major stroke with little to no hope of recovery. He was a Navy veteran so was going to be transported from the local hospital to the Veterans’ Hospital roughly a hundred miles away, so I knew I probably would never see him again. Thus, I went to the hospital that morning to say goodbye. He was unconscious as I took a chair at the foot of his bed, but shortly after I arrived he started to stir, opened his eyes, sat up far enough to make eye contact, then convulsed and was gone. 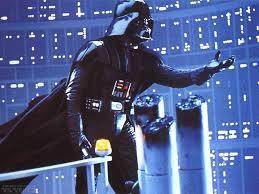 As he left this life I had a strong impression that he’d apologized in passing for being such a lousy father. It didn’t change anything but for some strange reason made me feel at peace, recognize he did the best that he could and forgive him entirely for his deficiencies. The sense of loss I felt then and still is never so much that he’d passed on, but rather for the relationship we never had. As time went by, my own children grew up, had children of their own, and their children likewise grew up. During that time I witnessed a wide variety of fathering or lack thereof. The older I got, the more I realized how many voids I had in my life because of my father’s inability to function in that role. I never felt as if I mattered one way or the other and that I had to prove my worth, to myself as well as everyone else. I never had anyone I felt comfortable going to for advice, mostly because of being told “you’re only a stupid kid” on a regular basis. Ironically, he had a 10th grade education and couldn’t answer some of the simplest questions I asked when I was a youngster. I don’t doubt now, as I look back, that he was simply echoing what he’d been told as a child himself. 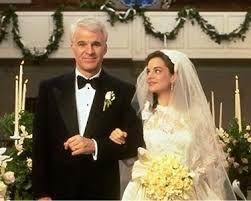 When I got married and he “gave me away” it was an empty part of the ceremony since we’d never bonded. I’ve seen some beautiful interactions between brides and their fathers and sometimes grandfathers, both at the altar and then later when they danced together. Seeing them always brought tears to my eyes because it was an experience I’d never have. I never knew either of my grandfathers, either, but having a loving grandpa can definitely help fill this void. Fortunately, in my life I’ve known some wonderful older men whom I adopted emotionally as a surrogate father. These were kind, educated and successful men who treated me like an intelligent and perhaps even interesting human being. I wept profusely when these worthy father substitutes passed away while never shedding a tear for my own. 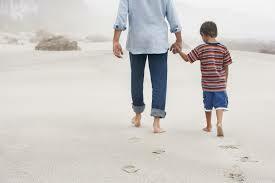 The more children raised without a father’s positive influence, the more dysfunctional families will result. Boys need a loving and responsible male role model and girls need a positive relationship with their father to assure better self-esteem and higher expectations of the men in their future. If that sounds sexist, I don’t care. I wonder if my relationship with my father would have been better if I had been a boy, which he wanted as many men do. Maybe I got a physics degree and went into a career field predominated by men to try to make up for being a girl. My father was a mechanic and I remember when he’d work on our family car that I was curious and wanted to watch but was shooed away since that’s not what girls were supposed to be interested in. And sadly, now that I’m retired and single, I have this huge mental block about fixing things or performing even minor maintenance like changing the air filter on my lawnmower, probably because I was told as a child that girls don’t do such things. If any fathers out there have stuck with me this long, please recognize how important you are to your children. If a child feels unloved by his or her father it’s highly likely a feeling of not being good enough will have a pervasive detrimental effect on his or her life. Every rejection will reinforce this negative self-perception and deter love, success and joy from every fact of their life. They may turn out to be a workaholic people-pleaser, forever trying to find the praise and acceptance they never got. A more negative spin includes gang membership or promiscuity. Note that well-intentioned but over-critical parents can have the same effect if a child feels unloved or unaccepted. Fathers, your children possess half of your genetic material and have a natural affection for you, whether you deserve it or not. Why do you think adopted children will go to so much trouble to find their birth parents? Any failure on your part to fulfill your role will leave an empty place in their heart. And you adopted fathers are incredibly important. You don’t have the benefit of a genetic link yet have every bit as much influence and responsibility to fill that role. In some cases you’ll do far better than the natural parent ever could, especially if the natural father was in the “sperm donor” category. Unfortunately, my “surrogate” fathers entered my life too late to fill that void. While numerous male parents in the animal kingdom are remiss in taking part in raising their offspring, humans are supposed to be better than that. 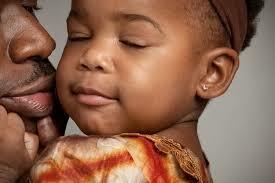 Fathers, be the best person you possibly can and man up to your responsibilities. Be there for your sons and daughters. By doing so you can make an important contribution one child at a time to a better world. A world that needs all the help it can get. 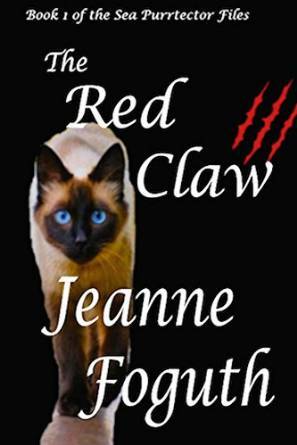 Jeanne Foguth’s story of Xander de Hunter as chronicled in “The Red Claw” was an absolutely purr-fect light read which you can learn more about in my review of that title. As a cat lover I am hooked. To my great delight, she has just released Xander’s latest tale (or perhaps I should say “tail”?) entitled “Purr-a-noia” with another “Sea Purrtector Files” episode promised for next year. Yet these charming cat adventure stories are but a small part of Jeanne’s repertoire. If you’re a romantic suspense, fantasy or science fiction fan you’ll want to get a hold of her other novels as well. Her vast travel experience coupled with her attention to detail create engaging characters in the midst of exotic settings which will pull you in and leave you wanting more. So without further ado, let’s learn more about this fascinating author and creator of my favorite cat hero. MF: Clearly you’re an avid cat lover, which seems to be the case with numerous writers. What besides a strong affection for felines inspired you to write The Red Claw and its upcoming sequels starring Xander de Hunter? JF: Yes, I love cats. In fact, I like most types of animals and over the years, we have had a wide assortment of furry and feathered friends. In 1981, we were adopted by Rom a.k.a. 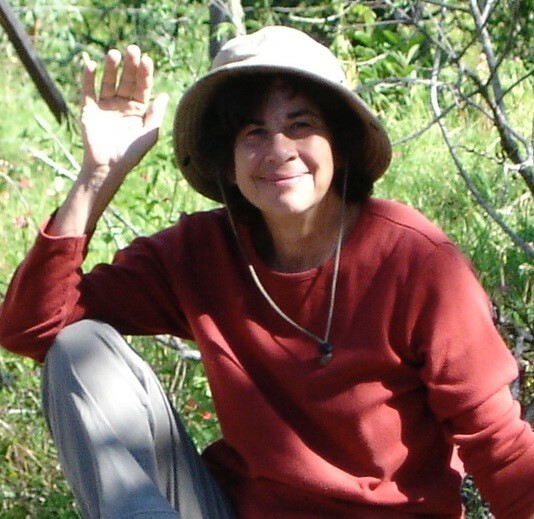 The Ramakazi, who became my good friend, fellow gardener and writing partner. We shared an L-shaped desk where he lounged on his keyboard while he looking out the window and tweeting to the birds. This allowed me to write freelance projects without him feeling the need to edit my work. Rom was a major part of our lives until he died at 16.5. For years, I thought of various ways to write a memorial to him and when we were living aboard EvenStar, our Gemini 105MC, I imagined how Rom would have enjoyed the adventure…. by the time we got to Jamaica, where The Red Claw is set, I began putting notes in a file. Initially, I thought that I would only write one book, however I had so much fun that The Sea Purrtector Files is turning into a series. Purr-a-Noia (#2) is newly released and The Vi-Purrs (#3) will be out in early 2016. MF: Do you have a favorite real-life cat that demonstrates Xander’s traits? JF: Rom, who Xander is based on, loved technology and seemed very adept at turning things on and opening things – not so good at turning them off or closing drawers and doors. His technical expertise is the main reason we realized we could not share a keyboard and mouse. He was also “Mr. Cool’ when startled, so even when he decided that retreat was the wise choice, he never tucked tail and ran – he exited with dignity. In your review of The Red Claw, you suggested that Xander was sort of a feline 007 and that captures Rom’s character quite well. BTW, the Siamese cat on The Red Claw‘s cover is Rom. 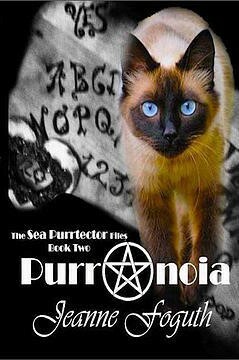 We don’t have many photos of him, so my cover artist, Kiara Graham, adapted the same photo for Purr-a-Noia‘s cover. MF: He was certainly beautiful and it’s like he’s looking through you with those blue eyes. I can’t think of a better way to immortalize a beloved pet than in a series of novels. What other animals have you had for pets besides cats? JF: Hmmm, that is a long list. When I was a child, we lived on a dairy farm, which was at least a half mile from the next neighbor. Aside from cows, we had horses, a dog, sheep (rams are NOT good pets, but lambs are adorable), pigs and chickens. Over the years, we have usually had a cat and sometimes a dog, but we’ve also had a variety of outdoor pets, which included birds, bunnies and even a few goats (I called them my gardening crew and used them in my war on kudzu ;-). MF: Your biographical sketch mentions that you have a background in technical writing. Which industry was it applied to? JF: Initially, I helped write J.C.H.A. (hospital procedure manuals) and preventive maintenance guidelines. Later, I wrote computer-user manuals as well as several free-lance projects that included policy and procedure manuals for some small companies. MF: How do feel your technical writing experience influenced your fiction writing? JF: I am a stickler for accuracy. It was drilled into me that J.C.H.A. manuals were used by hospital staff as a guide to treat life-threatening conditions. MF: I can relate. Accuracy was drummed into my head when I was a techwriter at NASA. Speaking of accuracy, clearly you have traveled extensively which enriches your writing’s sense of place with a strong sense of authenticity. Your descriptions of Jamaica made me feel as if I was there such that I would recognize it if I ever was. Which location is your favorite and why? I also like where I am and where I have been. Each place has had good and bad points. For example: in Alaska, the Northern Lights were amazing, but the mosquitoes were horrid (BTW, catnip is ten times better than DEET as an insect repellent and if you use it, you might make a new feline friend). MF: LOL! I have a hard time growing catnip because it always gets ravaged long before harvest. I have one plant surrounded by a hardware cloth cage which so far has survived. As you’ve gone to these fascinating locations do you find that you’re always thinking like a writer in that new experiences automatically evolve into a new story idea? Or does the story come first with travel and research following? JF: Yes to both. For instance, the initial idea for Star Bridge (#1 of the Chatterre Trilogy) came to me on a sweltering day, as I was sitting in traffic, waiting to make a left turn. I had the thought that there wouldn’t be traffic jams and pollution on a world where humanity chose to live in harmony with nature. Of course, when I actually began writing the book, I needed to research a variety of things. For instance, Nimri, a main character, is an herbal healer, so I needed to verify what each herb that I used in the book was good for and also to confirm that if people decided to use something, it should not have an adverse reaction to something I mentioned in a scene. MF: I’m a real fan of accuracy myself. You never know who might be reading your book and if they’re familiar with the subject and you get it wrong then you lose all credibility. Such details in fiction should be trustworthy as well as contribute to the substance and reality of the story. Speaking of accuracy, I assume that you’ve spent some time living on a boat based on the terminology the average non-mariner wouldn’t know in “The Red Claw.” What’s your favorite part about that life? What would you recommend to someone considering such a lifestyle? JF: We lived aboard EvenStar for a few years. My favorite part was that I didn’t need to pack a suitcase when we moved to the next country – we only needed to pull up the anchor. 1) that they be a good jack-of-all-trades because once you get off shore, you and your shipmates need to be capable of dealing with a wide variety of problems. 2) that they be competent sailors and good at plotting an accurate course. 3) that they be adventurous and open-minded, yet realize there are dangers out there, so avoid inviting problems aboard and stay away from trouble spots. 4) that they expect to learn new languages and understand cultural sub-text and not expect people in a new country to adapt to them. MF: Makes sense! Have you had any frightening experiences living on a boat? JF: Of course, but I’ve had worse and more life-threatening experiences on land. MF: I can believe that. So which of your many books and/or characters are your personal favorites? JF: That is a difficult choice, but I think Kazza and Xander are my favorites. Interestingly enough, both are cats, so I guess that brings us full circle to your initial observation that I am an avid cat lover. Be sure to connect with Jeanne via her social media sites listed below and pick up one or more of her books today! Also note that both Xander and Kazza have their own blogs which have links on Jeanne’s blog site. As a cat lover I absolutely adored this book. Xander de Hunter’s adopted humans have decided to live onboard a boat which has resulted in him being assigned the responsibility of being the Sea Purrtector. As they arrive in Jamaica, he receives an urgent email marked with an ominous red claw signifying its urgent. The message directs him to solve the catnapping of Dame Esmeralda which recently occurred on that tropical island. Xander not only uses his humans’ computer but also has a collar with all sorts of high tech abilities, making him a feline version of James Bond. As a feline, he has a natural dislike and suspicion of canines, especially the boxer named Valentine on the boat moored next door. Fortunately, he’s leaving to pursue the mystery regarding the missing Dame Esmeralde and hopefully find her unharmed. Along the way he hooks up with Sharky, a black and white cat with a somewhat mysterious and possibly suspicious past. He’s not sure whether or not he can trust her, but she knows her way around and can show him how to get to the location where an important meeting will take place with the cat in charge of the island. Among other things, Sharky excels at quoting numerous bits of wisdom from a large variety of Native American tribes. I’m a real stickler for detail and this book absolutely rocks. The author’s experience and travels bring the story to life, whether it’s the description of the boat, Jamaican culture, tropical terrain and weather, mention of the Egyptian cat god, Bastet, or any number of other delightful bits of trivia such as the American presidents who owned cats, it was a highly entertaining as well as an intelligent read. The imagery of Jamaica was like being there and the mannerisms and dare I say thought processes of the feline characters were totally credible to anyone who has ever been owned by a cat. The story takes a variety of twists and turns which keep you guessing all the way to its surprising conclusion. There are numerous places that had me laughing out loud, yet the story possesses an allegorical flavor as you view humans and their foolishness through the wisdom of feline eyes. This is one book I must say I was sorry to see end because I enjoyed it so much. If you’re looking for a well-written light read that takes you on a vicarious adventure through the wilds of Jamaica as seen through the eyes of a highly intelligent Siamese cat, then this is definitely the book for you. I am definitely looking forward to reading more about Xander’s adventures as well as other books by this author who knows how to make a story come alive. 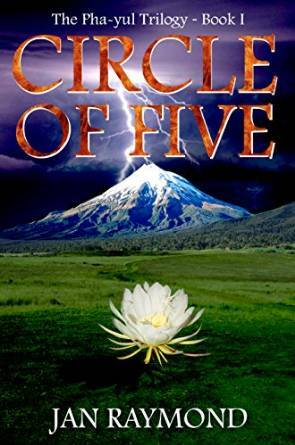 “A Circle of Five” kicks off the “Pha-yul Trilogy”, a Young Adult fantasy series. Rather than plunge the reader abruptly into a fantasy world, however, the author slowly transitions to other realms from the daily routine of five “normal” teenagers as they confront challenges encountered following a literal lightning strike which occurs during an after school detention session overseen by the school’s football coach. The author did an excellent job naming the characters such that they stand out as individuals within a variety of races, ethnicities and financial situations. By the end of this volume you feel as if you know each of them inside and out which is accomplished through the omniscient viewpoint handled in such a way that, to the author’s credit, was never confusing. Each of the five has his or her own problems, mostly related to their family situation. The details provided for each accurately demonstrate the insecurities and personality issues which can arise from a person’s home environment. These are ordinary teens living anything but a charmed life, other than the fact that most of their parents are affluent or were at some point. Just about everyone should be able to relate to one or more of the situations described from sibling rivalry to neglectful, disinterested or inebriated parents. This factor alone makes this story relevant to both teens and adults, specifically parents, who may see a bit of themselves from the perspective of teens. Life at that age can be overwhelming enough as they try to figure out who and what they are, much less having to do so with a lack of parental emotional support. In today’s world where most homes require two incomes to survive, to say nothing of the financial and emotional struggle of single parents, this situation is probably far too common. These distinct individuals are not even friends as the story begins. In fact, some of them overtly dislike each other, contributing to plenty of conflict as each character struggles with their own personal issues, dealing with classes, plus being thrust into this exclusive group which involves grueling training they must undergo before and after school. Furthermore, all of this is required without knowing the whys or wherefores of where these abilities came from. While they get a glimpse of what these talents are they cannot control them at will, thus necessitating the training. About all they’ve seen was a quick flash trip to Tibet where they discover the coach is clearly an important figure in that world who reports to a woman even higher in status. This story is the antithesis of waking up with superpowers and instinctively knowing how to use them, showing it may not be the bed of roses most would expect. The idea that developing any skill to a high level requires discipline and hard work is an important concept and life lesson nicely woven into the plot. The teens’ struggles with their daily routine, personality conflicts and typical high school situations brought the characters to life. Their mundane challenges were detailed, realistic and relatable, lending realism to the story but somewhat understating the fantasy element, which the cover and prologue imply. Thus, anyone expecting the book to be heavy on the fantasy side could be disappointed since there is far more reality within the pages than escaping to another realm. The characters as well as readers are left in the dark with regard to various details with a few revelations in the final chapter. Nonetheless, as the first book in a series these questions will most likely be addressed in the sequels which have the advantage of being populated with fully developed protagonists whom you feel as if you know as well as the kid nextdoor.